I have tried to put off making this list in an effort to see all of 2012’s best films. With the exception of the foreign film “Amour,” I have been successful. Putting aside that one missing piece, here is my top 10 for this past year. This little film was able to go under the radar pretty well this year. Aside from Richard Gere’s Best Actor nomination at the Golden Globes, there was very little buzz surrounding “Arbitrage.” Gere plays a financial wizard attempting to sell of his aging empire before an unfortunate investment ruins him forever. This is a smart, well-acted film that avoids several cliches found in its sub-genre. The down side to all of these award-worthy films being released in late December is that the critics have already set the bar too high by the time normal people get to see a film. Although “Zero Dark Thirty” was hailed by many to be the film of the year, its awkward pacing and meandering script held it back from being anything more than my #9. It is a great thriller filled with several good performances (none of which gets as much attention as I would have liked). As much as I have enjoyed her past two films, I do hope Kathryn Bigelow finds new subject matter for her next film. “The Hurt Locker” and “Zero Dark Thirty” already share enough similarities. Yes, I’m a cheater. I didn’t feel comfortable making 1/5 of my list superhero movies, so I figured lumping them together couldn’t hurt. Both of these films show the new possibilities for their comic book genre. 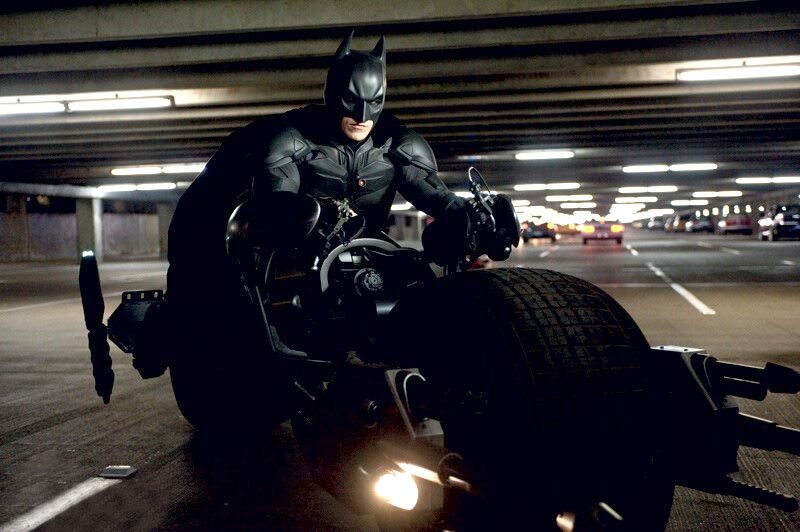 “The Avengers” showed studios that long-term projects that are faithful to their source material can also be very lucrative, while Christopher Nolan continued his experiment with his “What if superheroes existed in our world?” approach. 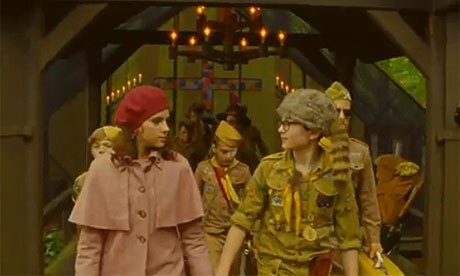 Wes Anderson’s quirky tale of adolescent love is a hilarious and stylish comedy. His films may be an acquired taste for some, but when he’s on his game, it’s hard to find a more enjoyable comedy. It would have been nice to see Bruce Willis get a little more recognition than he did for this role, but a lack of accolades certainly doesn’t hurt the film. Quentin Tarantino’s western revenge tale has sparked some with outrage over its brutal violence and depiction of the pre-Civil War South. While there is a heavy dose of gore and violence in the film, I have a hard time believing the conditions were anything better than what we see here. What really made the film for me was Christoph Waltz playing Dr. King Schultz, a German bounty hunter. There are plenty of good performances throughout the film, but his character is probably my favorite from any film this year. Sadly, I think “Django Unchained” is one of Tarantino’s weaker films. The last 30 minutes are pretty flat compared to the rest of the film, so it drops to sixth on my list. David O. Russell’s romantic tale of sports fanaticism and mental illness won the hearts of the Oscar voters this month when “Silver Linings Playbook” was nominated for 8 Academy Awards. All of the actors in this film give inspired performances, even the smaller roles. It’s a film about relationships, human flaws and finding your silver lining. One of my favorites this year. Another very well-acted film this year was the Steven Spielberg-helmed “Lincoln.” It’s already a commonly known fact that Daniel Day-Lewis is the ultimate actor. Toss in pretty much every other decent white male actor and you’ve got quite the ensemble. 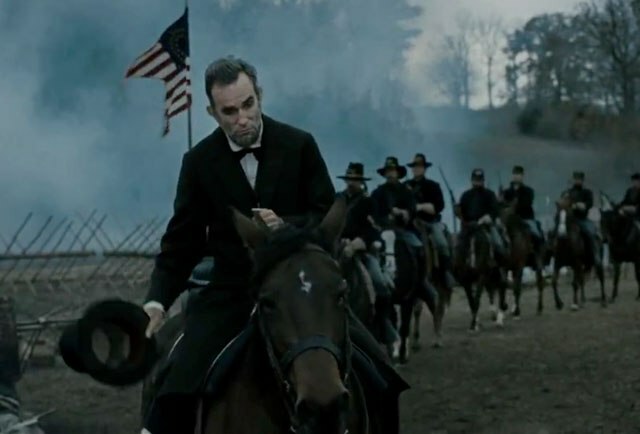 One thing that really helps the film is that we only see a few months of Lincoln’s life, as opposed to a long, bloated biopic that covers him birth to death. Solid direction, a great score and top-notch acting make this a good addition to 2012. 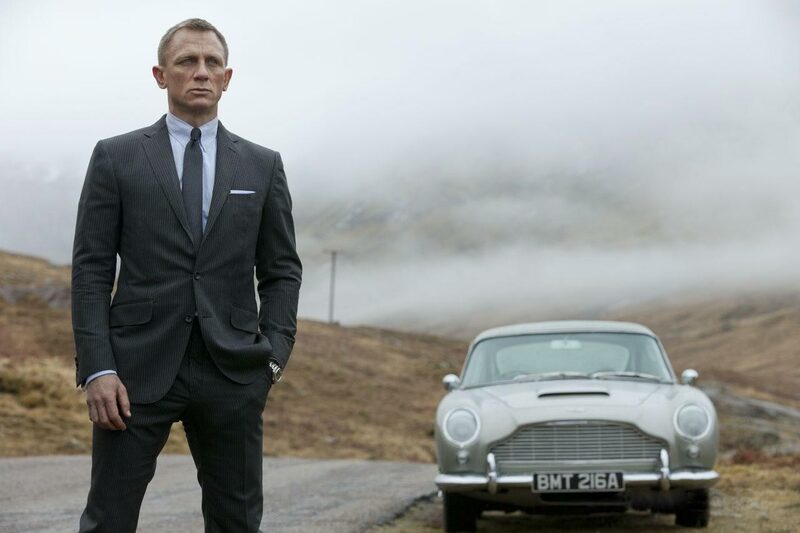 James Bond’s latest adventure is one of the best in the 50 year-long series. After being taken out on an assignment, Bond has to re-train himself to be the agent he once was. He also must deal with ex-agent and current terrorist Silva who’s stolen a list of undercover agent’s identities. 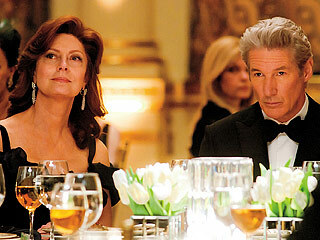 The film delivers the same excitement of “Casino Royale” with a great villain and a very artistic direction. 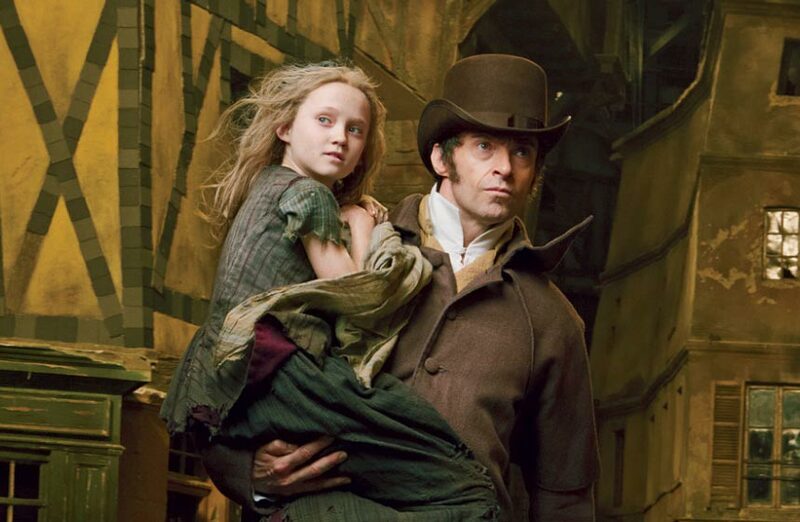 I went into this movie having not seen any of the other versions of Victor Hugo’s novel and came out wanting to watch them all. I love everything about this movie (yes, even Russell Crowe). Tom Hooper’s directing is a bit odd but I think the style works for this film. All of the actor’s do at least a decent job with both acting and singing (most excel at both) and the music is, of course, fantastic. 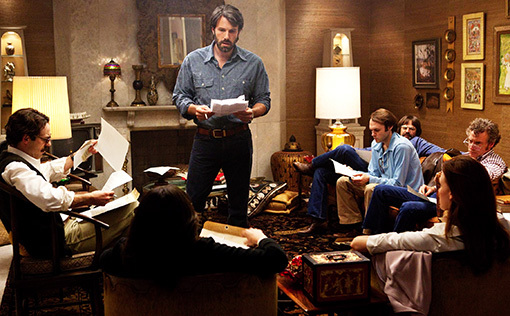 When I first saw “Argo,” I really liked it, but didn’t want to declare it my favorite film of 2012 just yet. Since then, I’ve seen pretty much everything else there is to see, and nothing feels as wholly complete as “Argo.” There are probably some films that have higher highs than this one, but from start to finish “Argo” knows what it is and excels at being that. Some people have problems with historical inaccuracies but that’s a minor detail in this film. I love how the film weaves together with stock footage of the hostage crisis and the look of the film is perfect for the time period. The only complaint I have is that I wish the characters were a little more interesting. It’s here! That time of year where cinephiles like myself crawl out of our basements and do our best impression of NFL analysts, predicting the outcome of awards shows as if there were a perfect system of guessing. Without further ado, here are my picks for the film categories of tonight’s award show (You really don’t want my TV picks). While France’s “The Intouchables” was a big hit for emotional audiences, most critics thought it was a little too sappy and the film failed to make a nomination with the Academy. Norway and Denmark have two quality entries with “Kon-Tiki” and “A Royal Affair.” but I think the real battle is between “Rust and Bone” and “Amour.” Seeing how the Globes also gave a nomination to Marion Cotillard, I give “Rust and Bone” the edge. “Brave” opened to mostly-good reviews last summer, but it is nowhere near the best film Pixar has developed. I’m surprised “Hotel Transylvania” even made the final list, to be honest. “ParaNorman” was a much better animated film and should have taken its nomination. I think “Wreck-It Ralph” will walk away with the award because it bridged the gap between kids and adults and had some great animation. This is usually a pretty tough category because a lot of music is tied to how you felt about the film. It is possible for a bad film to have a great score. In the case of “Cloud Atlas,” my vote will attempt to prove that. Great nominees, but the mediocre “Atlas” had some fantastic music. In my eyes, there’s really only 3 nominees here. No one’s really seen “Stand Up Guys” and I doubt the Hollywood Foreign Press loved “Act of Valor” all that much. The remaining choices are all great, but I think Adele’s “Skyfall” has the best chance of running off with the award. I would love for The Civil Wars to have a Golden Globe, but it would be too weird for Taylor Swift to also have one. This is always one of my favorite awards because you often get nominations for films that are otherwise overlooked. Though that isn’t the case this year, there are some great nominees. Quentin Tarantino is usually a safe bet, but I like the momentum that “Silver Linings Playbook” has going into the show. 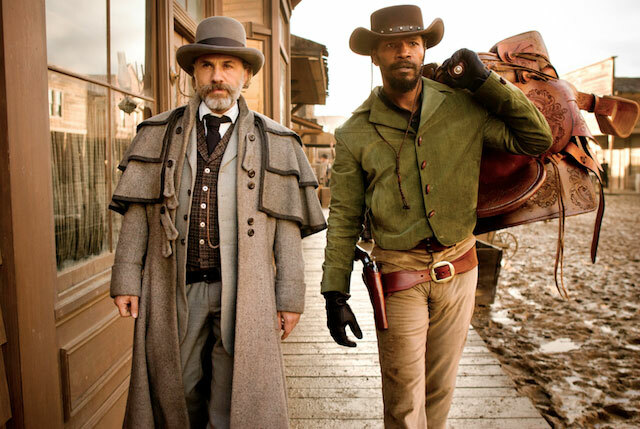 Plus, “Django Unchained” wasn’t one of Tarantino’s stronger scripts. If I’m wrong, it’ll probably be Mark Boal (“Zero Dark Thirty”) standing at the podium. I would really be happy for any of these directors to win, especially Ben Affleck (mainly because it would be a funny message to Academy voters). I think the Hollywood Foreign Press is going to stick with a very traditional vote, though, so I expect Steven Spielberg to get the award. Though all 5 women (Amy Adams, Sally Field, Anne Hathaway, Nicole Kidman and Helen Hunt) are brimming over with talent, the race is really between Sally Field and Anne Hathaway. Since this is an awards show that has special categories for musicals, I’m going with “Les Miserables” and the “I Dreamed a Dream” singer. This is always a hotly contested race and this year isn’t any different. Alan Arkin is probably the weak link here, though I loved him in “Argo.” Aside from Arkin, ANY of these guys are likely to win. If “Django Unchained” didn’t have two nominees here, I would probably go with Christoph Waltz. He and Leonardo DiCaprio will probably split that film’s votes though. Philip Seymour Hoffman seems like the most likely candidate to benefit from this and I think his performance was better than Tommy Lee Jones anyway. The Golden Globes has a bad reputation of nominating big-name people just so they’ll show up on the red carpet. I’m hoping this is the only reason why Meryl Streep’s name is on this list. Assuming Streep doesn’t pull a shocker, this award has a 98% chance of ending up in Jennifer Lawrence’s hands. I just saw “The Impossible” on Friday so I’m rooting for Naomi Watts, but I think Jessica Chastain will have her name called, as “Zero Dark Thirty” was better received by critics and is getting more award recognition. While Best Actress is a little weaker than usual this year, Best Actor is a mad dash to the finish. In most other years, I think 3 or 4 of these nominees would steal the award. I think the only person who can upset Daniel Day-Lewis is Joaquin Phoenix, though. Both men deliver amazing performances. It’s either “Les Miserables” or “Silver Linings Playbook.” Simple as that. I’m going to go against my previous advice and say that “Silver Linings Playbook” is able to overcome the Hollywood Foreign Press’ love for musicals. Arguably the toughest choice in this year’s awards season is naming the best film of the year. I can think of 5 different reasons why the Hollywood Foreign Press would pick any of the 5 different nominees. Faced with this tough decision, I think they’ll make the safest choice and crown “Lincoln” as the best dramatic film. That’s it for tonight’s awards. Feel free to disagree with my choices or come back after the show and gloat about me being wrong.